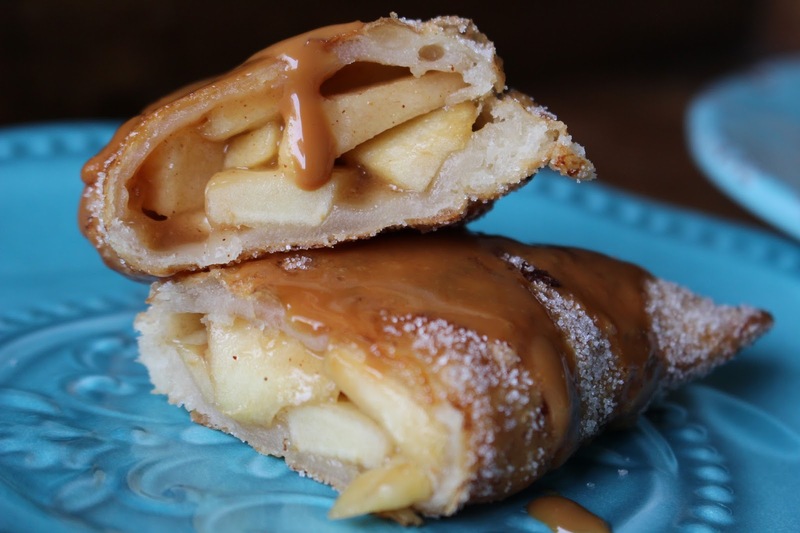 Fatgirl Hedonist: Fried Apple Empanada Recipe! This is part of a sponsored collaboration with Imusa. However, all opinions expressed are my own. Lately, I've gotten really into combining American and Latin food. 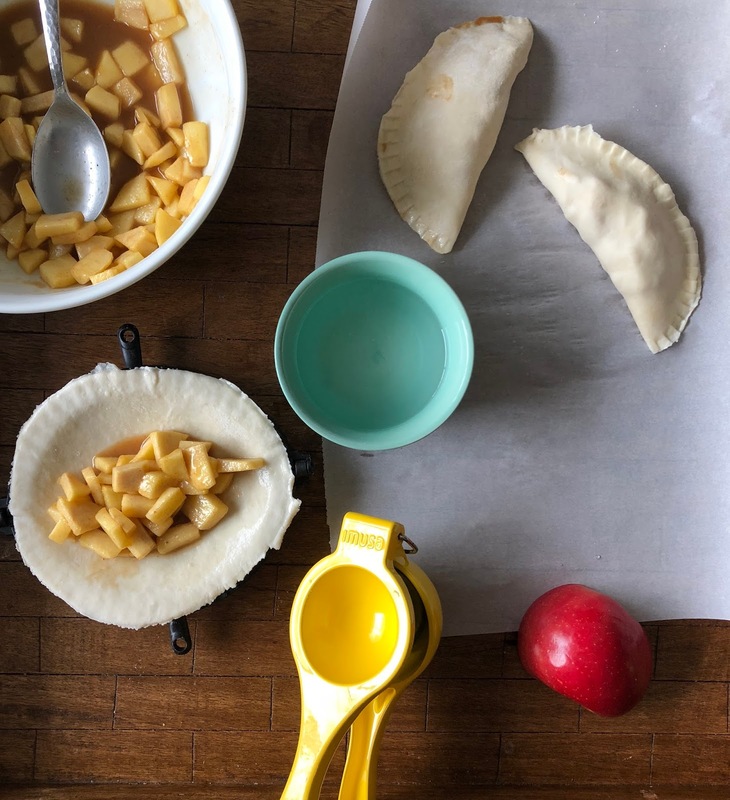 Two things I love are apple pie and my mom's empanadas. So I've decided to combine the two by making fried apple empanadas, using pie crust dough and apple pie filling. And thanks to Imusa's awesome kitchen gadgets, making these empanadas was so easy. Their jumbo empanada maker made sealing the empanadas ridiculously easy. - A pinch of freshly grated nutmeg. Prepare the dough by placing the flour, baking powder, salt cold butter and sugar in a food processor. Pulse a couple of times until the texture begins to look like big crumbs. Add the cold water one tablespoon at a time and pulse in the food processor until homogeneous mass is obtained. Remove the dough and knead the dough over a floured surface. Be sure not to overwork the dough. Then form the dough into a disk, wrap the dough in plastic wrap and place it in the refrigerator. Let the dough cool in the refrigerator for at least one hour. 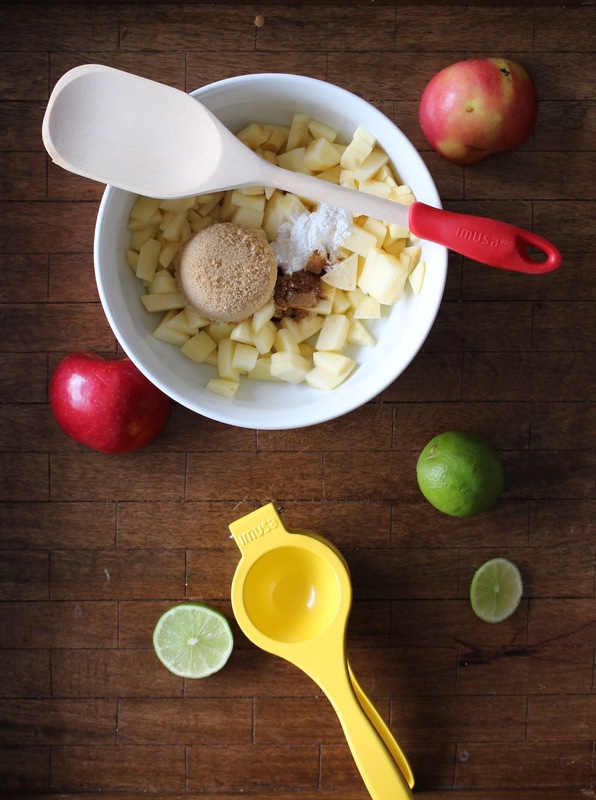 Meanwhile, prepare the filling; Peel and cut the apples into small cubes and place in a medium mixing bowl. Add lime juice and stir so that all the apples are covered in juice to avoid browning. Place the apples, butter, cornmeal, sugar, pinch of nutmeg and Ceylon cinnamon in a medium sauce pan over medium heat. Gently stir the apples for about 8-10 minutes until the sugar and cinnamon slurry begin to boil. 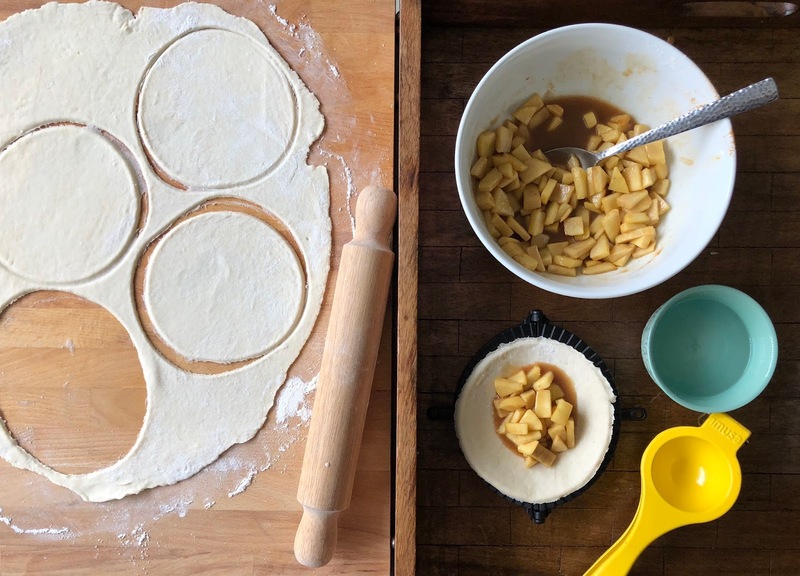 Place the apples back in the medium mixing bowl and allow to cool completely. Remove the dough from the fridge and start rolling it out over a floured surface. Roll out the dough until the dough is about a half a centimeter thick. Be sure to move the dough around and keep flouring your surface to avoid it from sticking. Cut out 7 inch circles (I used a soup bowl) and place it on the emapanda maker. Fill the dough with 2 tablespoons of cooled apple filling, lightly wet the edges with cold water and close the empanada maker to seal the edges. Place the sealed empanadas on a cookie sheet lined with parchment paper and place them in the refrigerator for about 10 to 15 minutes, this will harden up the dough. In a frying pan, place 1 cup of sunflower oil or vegetable oil then heat at medium high heat. Fry the empanadas in batches of at least three at a time, so the oil will maintain the right temperature. Fry 2 to 3 minutes on each side or until they are golden brown. Once fried, move the empanadas to a plate lined with paper towels and sprinkle with cinnamon sugar. In a microwave safe bowl place the dulce de leche and and milk in the microwave for 30 seconds. 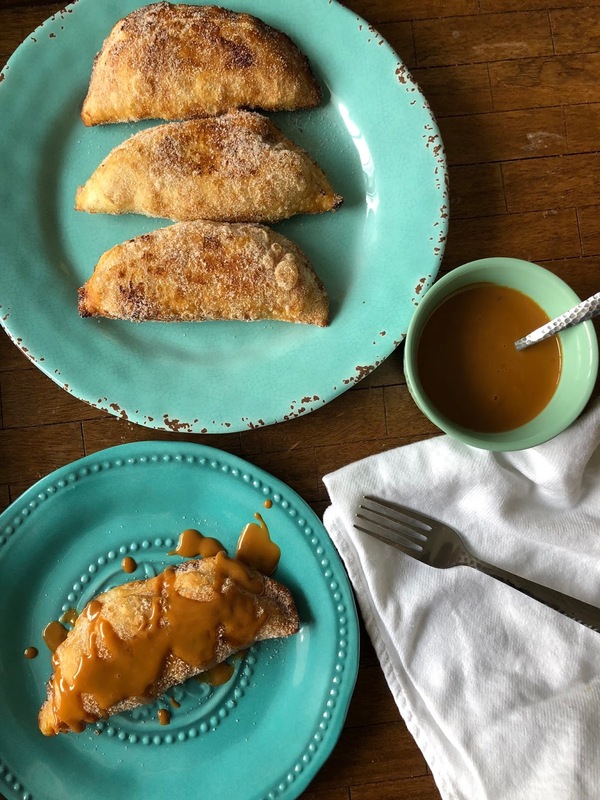 For this recipe I used the good ol' canned dulce de leche from the grocery store. Using a fork mix the dulce de leche mixture then place in the microwave for another 30 seconds and then stir till fully combined. 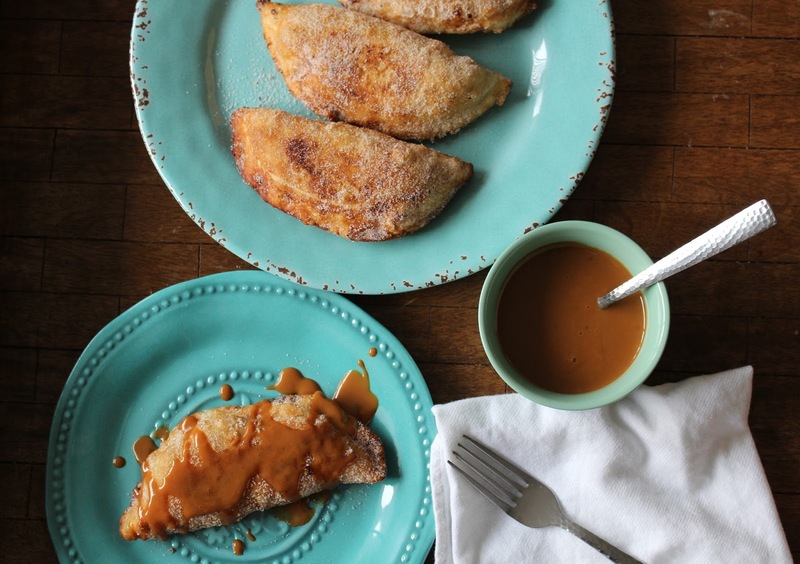 Drizzle the dulce de leche over the empanadas or dunk them into the sauce, whatever works for you. Be sure to eat the empanadas nice and hot! If they get cold, you can microwave them for 10 seconds on high.